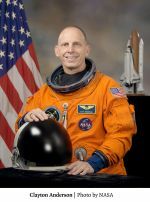 Clayton C. Anderson retired in 2013 after a thirty-year career with NASA and two missions to the International Space Station. He currently lives in Houston with his wife and two children. He is the author of The Ordinary Spaceman: From Boyhood Dreams to Astronaut (Nebraska 2015). 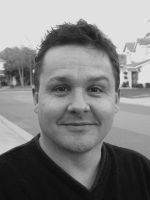 Colin Burgess is the author or editor of several books on spaceflight, including Footprints in the Dust: The Epic Voyages of Apollo, 1969–1975 (Nebraska, 2010) and Teacher in Space: Christa McAuliffe and the “Challenger” Legacy (Nebraska 2000). Kate Doolan is a longtime space researcher and writer. Francis French is the director of education at the San Diego Air and Space Museum and the coauthor of Into That Silent Sea: Trailblazers of the Space Era, 1961–1965 (Nebraska 2007).